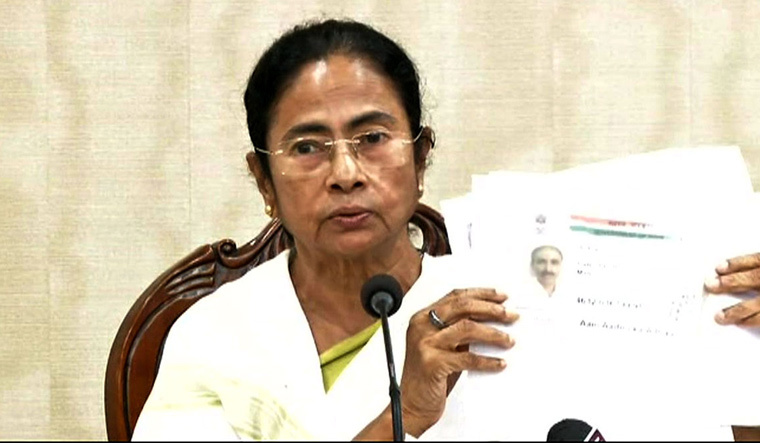 West Bengal Chief Minister Mamata Banerjee slammed the Union government over the exclusion of 40 lakh Bengali speaking people from the National Register of Citizens (NRC), making them illegitimate settlers in Assam. Though the draft is not final, chances of a drastic fall in this number when the final list is out by the end of the year is slim. The CM said she will visit Assam and also send a team of Trinamool Congress leaders to assess the situation there. However, despite this show of sympathy, a few months ago the chief minister had warned her partymen about the possibility of a large number of people from Assam, whose names did not appear in the NRC, sneaking into the northern part of West Bengal. In the 1980s, during the Assam Agitation, the influx of Muslims from Assam into West Bengal had altered the demography of north Bengal. Interestingly, Banerjee's outburst on Monday was similar to Jyoti Basu's during that period. Basu lambasted Rajiv Gandhi for his inability to contain the riot which caused the influx. It was only a few months ago that the chief minister took on the BJP government in Assam, accusing it of harassing Bengali speaking Muslims. The Assam government had then lodged an FIR against her in the Guwahati police station. A senior official of the Assam government said, "How could a chief minister make such an outburst when everything was done at the instance of the Supreme Court?" Banerjee had earlier said if the Bengali speaking people in Assam have nowhere to go, she will initiate steps to take care of them. Nonetheless, as the figure stands at a whopping 40 lakh, Banerjee is finding it tough to invite all of them to Bengal. She also feels that the BJP would score a political point if a large number of Muslims comes to north Bengal. Such an influx would also make a large part of Hindu voters antagonised, which would prove fatal for her. It was possibly because of these reasons that she decided to play politics instead of offering a red carpet welcome to people who have been made foreigners in their own land. The All India United Democratic Front (AIUDF) has, however, found the fear that Muslims would leave Assam for neighbouring state baseless. "What do you think of us? No one will leave Assam. It is our birth land. We will stay here. None of us will leave our land. We need no invitation from anyone," said AIUDF secretary and MLA Aminul Islam. The politics over NRC, it seems, has only started.